Are you passionate about Mobile development, DevOps, or Continuous Integration? Are you a Collaborator, someone willing to learn from within IBM and meaningfully embrace standard methodologies from outside of IBM, an Agile practitioner with a willingness to jump in and resolve complex technical problems, with a focus on delivering results? 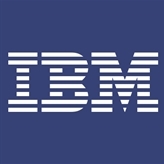 The IBM CIO organization's Digital Workplace Engineering team is looking to hire a passionate full stack developer to develop mobile apps for the iOS platform. IBM is transitioning with a significant focus on mobile services and solutions. The IBM CIO organization is at the leading edge of this transition by building an agile organization which provides best in industry solutions to employees to increase their productivity. Mobile has become a critical component of this transformation - and with over 100,000 employees using mobile devices every single day in the company, the impact of new mobile apps is enterprise wide. You will be responsible for development of mobile solutions by working with product manager, scrum master, architects, developers and key business partners. Strong background in computer science, with strong competencies in object-oriented design, data structures and algorithms. Want to get notified about new jobs at IBM?